Sweet corn at Goodman’s Farm Market in Niagara Falls. Photo from Goodman’s. Sweet corn and bus tours have nothing to do with each other except that you should hurry to take advantage of both while they’re available! 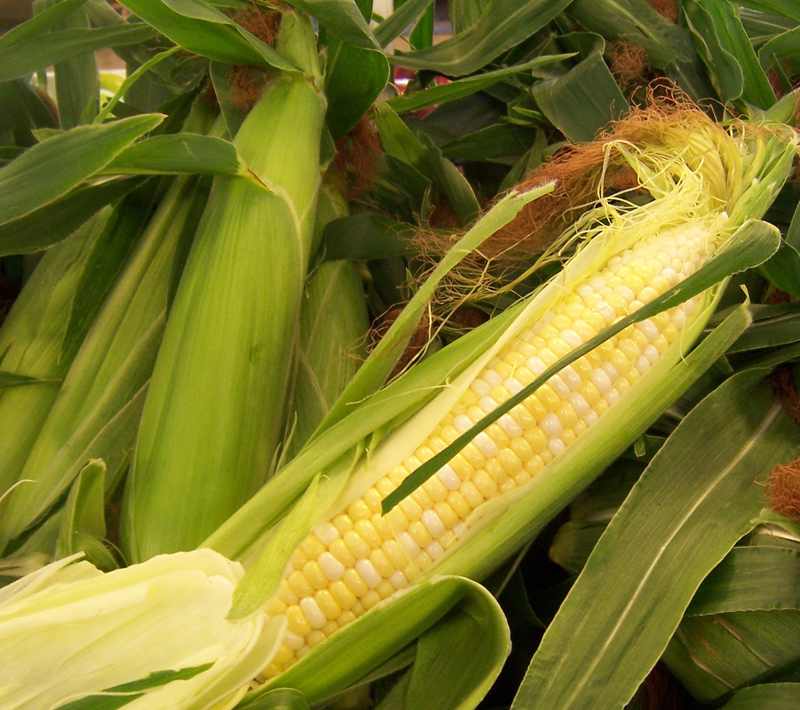 Sweet corn is already available at Goodman’s Farm Market, 2227 Cayuga Dr. Ext., Niagara Falls, NY. Normally, the market wouldn’t have any sweet corn until between July 4 and 10, said Ray Crawley, manager at Goodman’s, and that would be just one or two growers. It’s not even Independence Day yet and they’ve had corn for a couple days now. “It is very early this year,” Crawley said. That crazy spring weather we had– 80-degree temperatures in March!– played a role in the early crop. The soil was warm enough that farmers could plant in March. After planting, they covered the ground with plastic, which acted like a mini-greenhouse. New varieties of corn that can tolerate cooler temperatures also played a role, Crawley said, because following the warm March weather, we had cold nights and freezes in April. Unfortunately, the weather wasn’t as kind to the fruit trees, and you’ll see a smaller fruit crop this year. Other local produce available now at Goodman’s includes sweet cherries, cucumbers, long zucchini, round ‘Eight Ball’ zucchini, yellow summer squash, peas, Romain lettuce, green leaf lettuce, red leaf lettuce, green cabbage, Swiss chard and green onions. 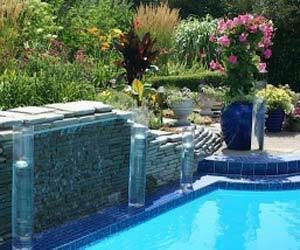 Perennial plants that are available include daylilies, tall garden phlox, shasta daisies and hostas. You can also find orchids and house plants. Photo from National Garden Festival. 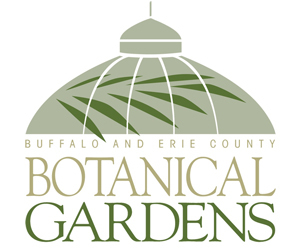 The next in a series of motorcoach garden tours sponsored by the National Garden Festival will be “The Outliers: Superior Gardens of the Northtowns,” to take place this Friday, July 6. Hurry and reserve your seat now. This tour focuses on Amherst. You’ll see four sunny, flower-filled gardens of the sort that everyone wishes for, as well as two beautiful, multi-green shade gardens that are the reality for many of us. The gardens range in size from small suburban plots to a surprising one-acre lot in the heart of Amherst, where you’ll enjoy a picnic lunch. The tour will be led again this year by Mary Van Vorst, a Master Gardener, whose name and voice you may know from her years in radio. As chair of Open Gardens for three years, Mary has been able to select truly superior gardens that highlight our regional styles. Tours include roundtrip transportation from Orchard Park, Williamsville and North Tonawanda, and Rochester pickup is now available. The tour also includes expert tour host, lunch and gratuity for the driver. For reservations and more information, go to the National Garden Festival bus tours page, or go to Horizon Club Tours or call 1-800-242-4244. Good info on this year’s corn.